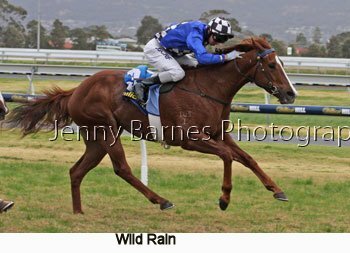 The final meeting of the racing year which saw a Hurdle to open proceedings and the Listed Lightning Stakes late in the day. 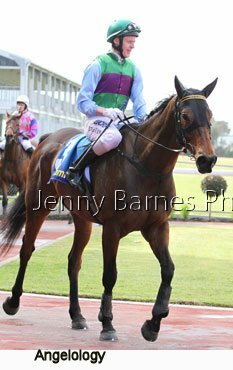 In the Hurdle Spying on You settled in front from Trenchtown then Isaiah followed by Agreement and Strike the Stars with Baklava Boy between then from Compelled and Angelolgy then Bold Zamour and Flying Tap. 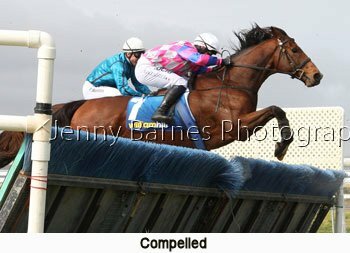 Into the straight for the first time and Trenchtown and Spying on You shared the lead putting in magnificent jumping efforts (see photos below) followed by Isaiah and Agreement who appeared to contact the padding (the jumps surfaces are forgiving when struck but still solid enough for the horses to try and avoid striking them - you can see the soft padding behind the brush in the photo below). 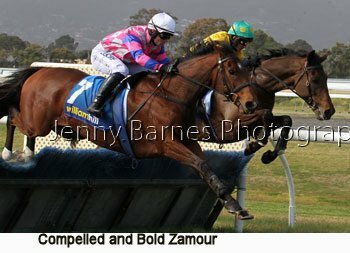 Strike the Stars and Baklava Boy followed from a gap to Angelology then Compelled and Bold Zamour with Flying Tap at the back. 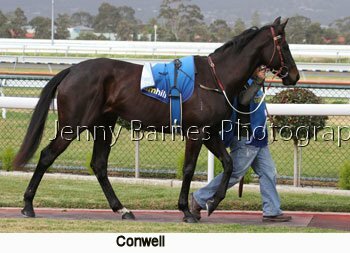 Past the post with a Spying on You kicked clear from Trenchtown followed by Isaiah and Agreement. 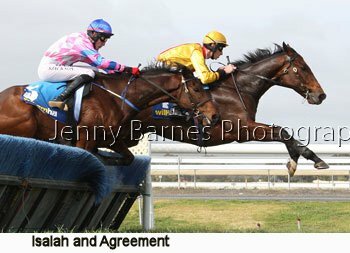 Over the next and Isaiah mistimed his striding and contacted the hurdle unbalancing his jockey on landing but his jockey was able to stay on after nearly being unseated. 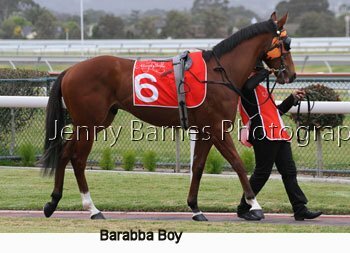 By the 1600m Spying on You led Trenchtown then Strike the Stars and Agreement as Isaiah lost his position then Baklava Boy followed by Angelology then Bold Zamour and Compelled as Flying Tap lost ground. 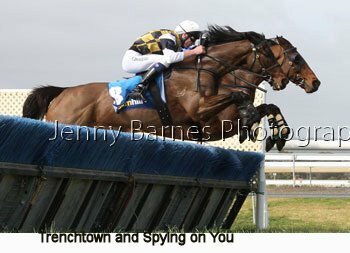 Over the next Trenchtown made ground on the leading Spying on You from Strike the Stars and Agreement as the field started to bunch closer together. 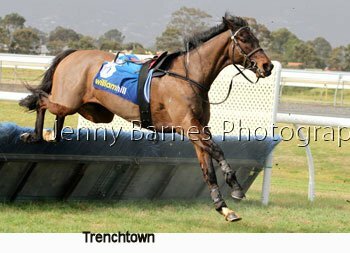 At the next jump Trenchtown mistimed his striding and contacted the hurdle and unbalanced his jockey on landing who could not regain his seat but was luckily thrown clear of the following runners as Trenchtown continued on with the field. 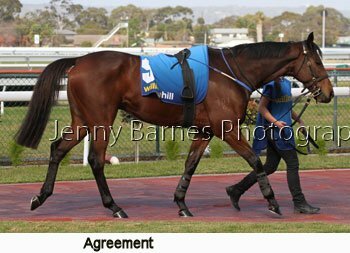 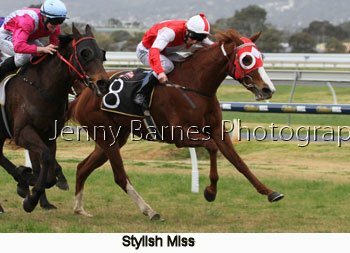 By the 1000m Spying on You was in front as Agreement and Strike the Stars made ground from Baklava Boy as the riderless Trenchtown ran wide on the track followed by Angelology then Bold Zamour with Isaiah being eased out of the race as was Flying Tap. 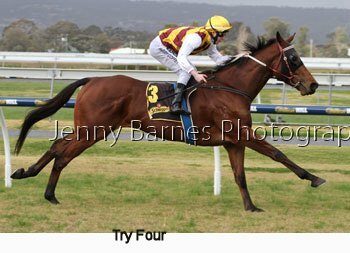 Over the fourth last Spying on You was in front from Agreement with Angelology making his run out wider with Strike the Stars next and a break to riderless Trenchtown then Baklava Boy, Bold Zamour and Compelled. 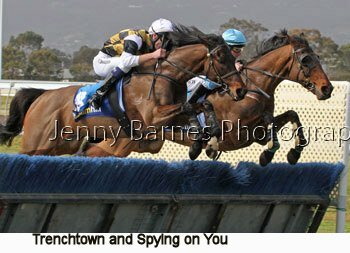 Over the third last jump Angelology made his moved to go up to the leader Spying on You and soon took over turning for home in front from Strike the Stars and Spying on You then Agreement and Bold Zamour followed by Baklava Boy and Compelled with the riderless Trenchtown keeping in touch with them. 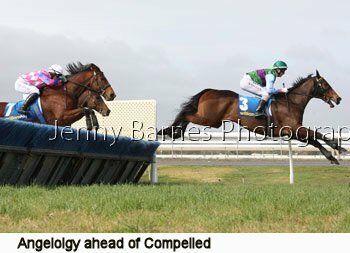 Over the second last Angelology went for home putting a gap on the others as he led over the last from Strike the Stars with Agreement and Bold Zamour next from Baklava Boy then Compelled and the riderless Trenchtown who jumped the last as well as any other horse (compared the photos below with Compelled a fraction earlier in the same movement and they are nearly the same in landing stride). 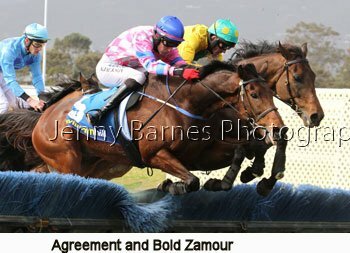 Angelology came right away in the run to the line to win by nearly 8 lengths from Strike the Stars with Bold Zamour too strong in third from Agreement. 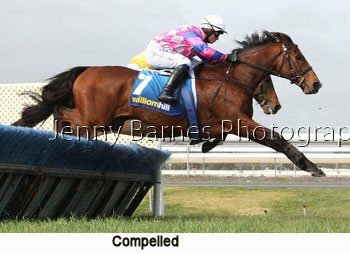 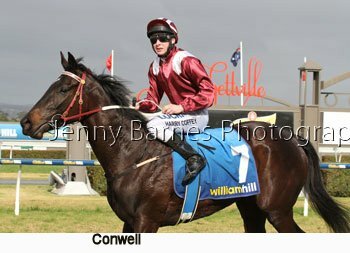 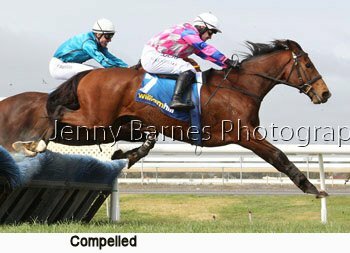 Sadly somewhere in the run past the post to where he was caught Trenchtown severely injured his off fore suspensory ligament and was later put down after being assessed at the Morphettville Equine Clinic - he is the first horse lost in South Australian jumps racing in three years and the first after a hurdle race in well over 4 years. 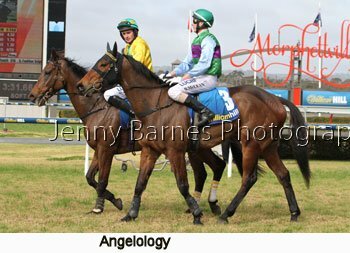 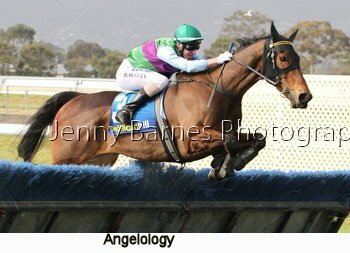 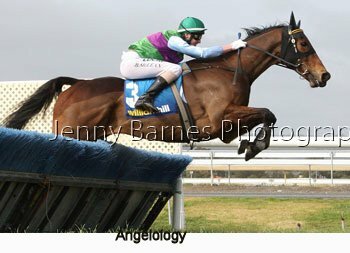 Angelology has now won 13 of his 41 starts with 10 placings and has made a promising start to his jumping career winning 3 of his 6 jumps starts with 3 placings at the other runs and is trained by P Payne. 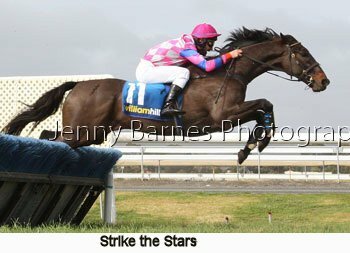 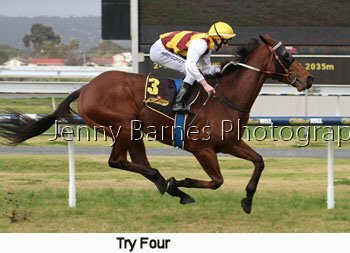 Second was Strike the Stars who was having only his third run over jumps for his second straight placing and is trained by B Simpson while Bold Zamour has started to regain his confidence over the jumps running third for a record of 1 win and 3 placings from 7 starts in jumps races. 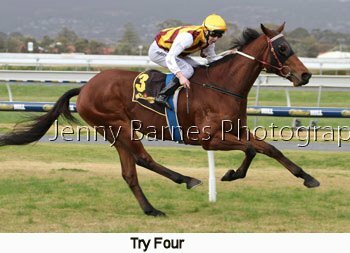 The Victorian stable of Darren Weir continued their success in the next race winning with Try Four from gallant topweight River's Lane with Mickiem third. 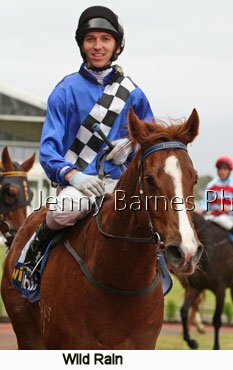 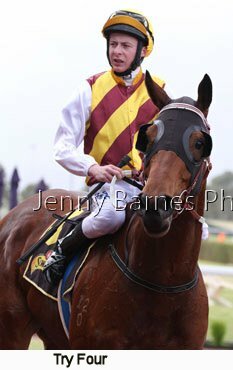 In only his third start for the stable after previous racing in Queensland he takes his record to 6 wins from 20 starts with 7 placings. 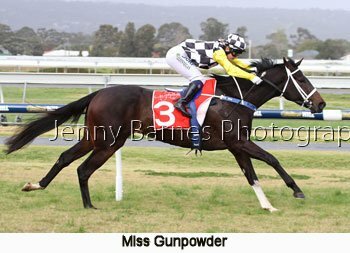 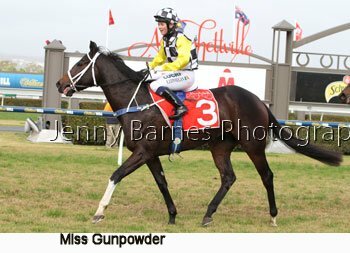 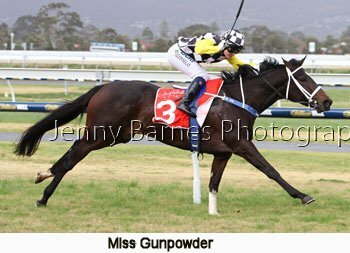 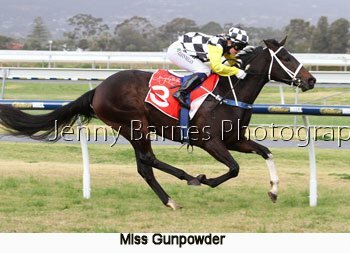 In the final 2yo race for the season Miss Gunpowder from the P Stokes stable made it two from two winning from the fast finishing Bedrock Dreams with Pakaya Prince. 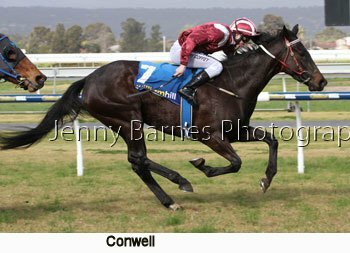 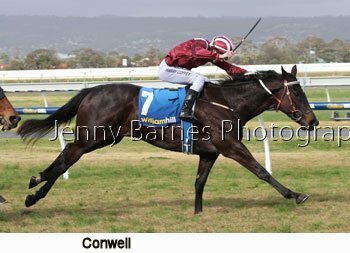 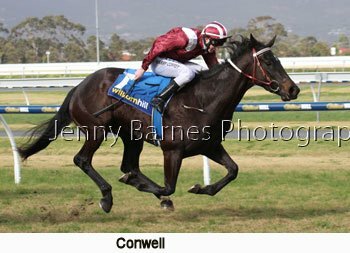 It was the Weir stable again in the next where Conwell made it 2 from 3 starts in winning easily from Rocket Commander with Dewangsa third. 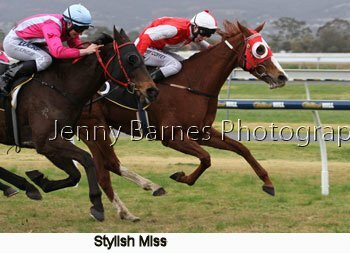 Amiconi Originale trained by T McEvoy was too good for Ourlittletreasure and Tom's Luck in the 5th race while it was the Weir stable again in the next winning with Stylish Miss from Glaneuse and Emmooki's Dash. 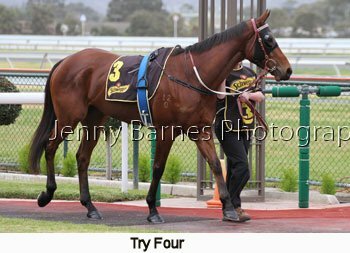 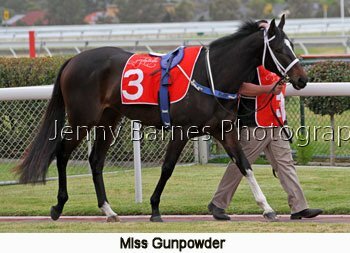 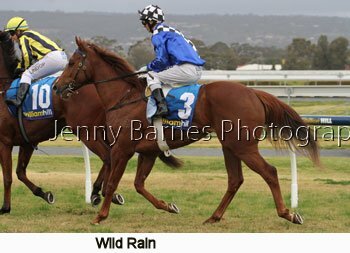 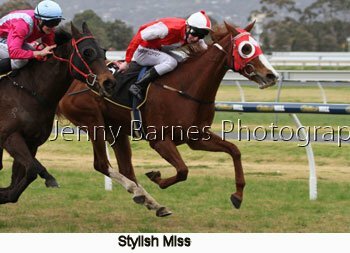 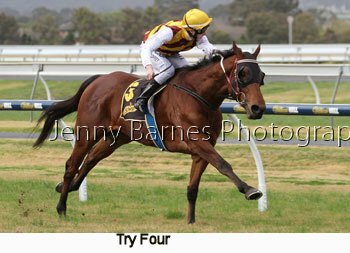 Stylish Miss took her record to 14 starts for 5 wins and 5 placings. 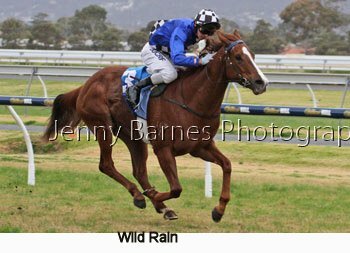 In the Lightning Stakes Wild Rain was just too speedy defying the opposition to run her down and winning for the Victorian stable of Mark Kavanagh with Cashed storming home late to just miss as third went to Trupt. 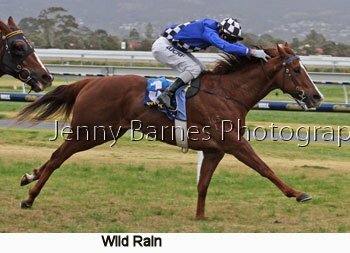 The last race went to Whitlam from Nearest to Pin and Classy Jack.